If you’re like me, you have started each new year with high hopes and expectations for yourself. Lose 20 pounds, get out of debt, get a promotion, fill in the blank. 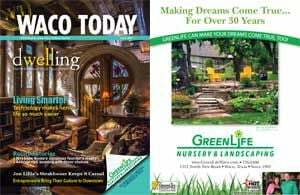 However, the second you have your first sweet of the year or get one Christmas bill in the mail, you instantly have a sinking feeling of “I can’t do it.” It’s overwhelming to have these big goals with no realistic steps to achieve them in between. None of us can reach our end goal without a good and feasible plan. What if I told you that the whole New Year’s resolution thing was overrated? By setting these giant, unrealistic goals, we set ourselves up for failure. What if instead of setting a huge goal once a year that soon goes out the window, we set smaller, more manageable goals each month? In fact, here’s a curveball: When you are starting out, set a goal you know that you can without a doubt achieve. This tip may sound overly simplistic, but you have to start somewhere and success motivates more success. Once you achieve one goal, I would be willing to bet that you will be inspired to achieve a more challenging goal. This mindset links back to the classic idea of writing something down on your “to-do list” that you have already done just for the pure satisfaction of checking it off. Are you guilty of that? There is something to be said about the ripple effect of success in your life. Play into this strategy and use it to your advantage. Typically around this time of year, everyone desires to get healthy in some form or fashion. This goal is a great start, but how do we make it tangible? Eating healthy (or healthier) doesn’t have to be stressful … and guess what? You don’t have to be perfect! It’s a simple swap like trading the chips for almonds or ice cream for Greek yogurt that will set you in the right direction of a healthier lifestyle. Make a choice to swap out one item this week. Do that for a week and feel how much confidence you gain in yourself for that simple trade. Then next week, swap two items out for something that gives a little more fuel. Before you know it, you will create a whole new lifestyle, and the process won’t overwhelm you. Take it step by step and give yourself freedom over the impossible New Year’s resolution looming ahead. To make your life a little simpler, we’ve created a shopping list for you with healthier options to choose from. 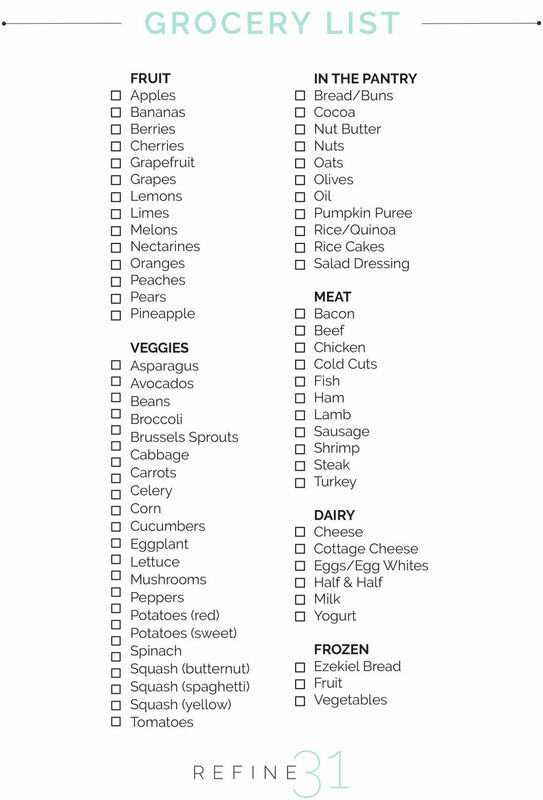 Tear this out, pick your favorites, and use it to guide you through the stressful grocery store. It’s our hope that by making these small and practical changes, you start to create new habits that will stick with you and transform your confidence in yourself to meet your 2019 goals one successful step at a time. Becca McCormack started teaching fitness classes at the end of high school. She has been trained under The Cooper Institute, SCW Fitness, TRX Suspension Training and Schwinn Cycling. 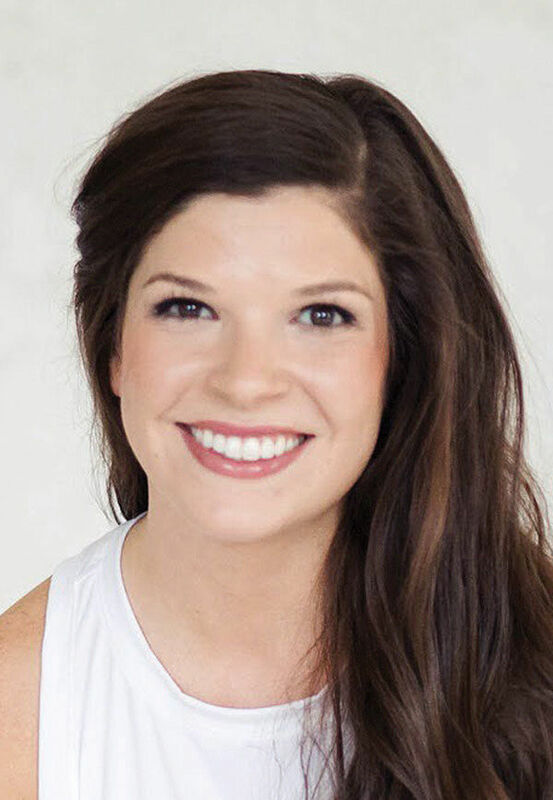 She and her husband, Clark, took a leap of faith and opened Refine31 indoor cycling and barre studio in Waco.